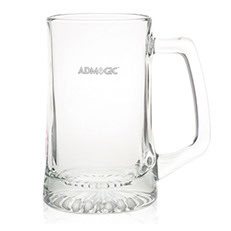 Description: Clear ridged 16 oz beer mug with thick handle, prominent colored base and thumb grip. Custom sprayed bottom glass that gives a colored hue. 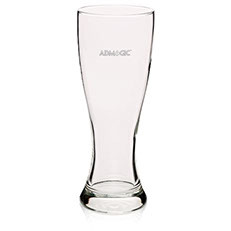 3.75" w x 5" h.
Description: Clear 12.5 oz glass sports beer mug with star bottom and thick bottom with thumb grip. 4 5/8" W x 5 1/2" H.
Description: Clear 34 oz. 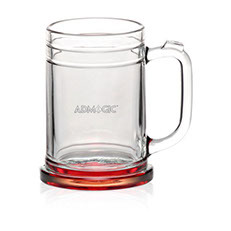 super sports beer mug / pitcher. Tall, thick beveled wall with a large handle and thumb grip. 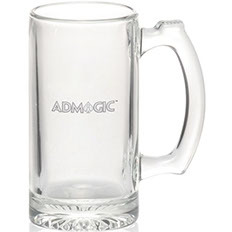 6" W x 8" H.
Description: Imported clear frosted star-bottom sports beer mug with handy thumb grip, 17 oz. 4 3/4" w x 6" h.
Description: Clear 15 oz. 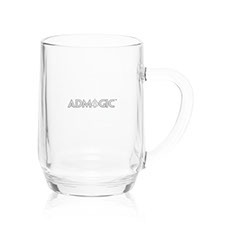 glass beer mug with grooves, thick handle and protruding base. 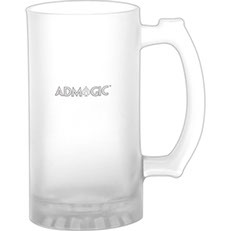 5" W x 5 1/8" H.
Description: Clear 34 oz. 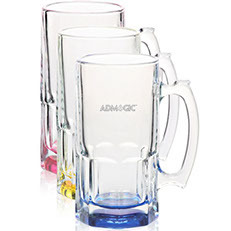 super sports beer mug / pitcher with colored base. Tall, thick beveled wall with a large handle and thumb grip. 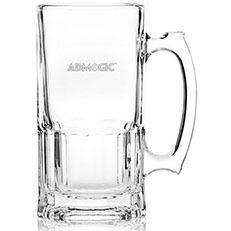 6" W x 8" H.
Description: Clear jumbo 20 oz beer mug. 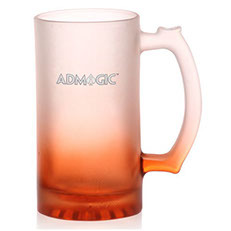 3.5" w x 5.25" h.
Description: Imported colored frosted star-bottom sports beer mug with handy thumb grip, 17 oz. 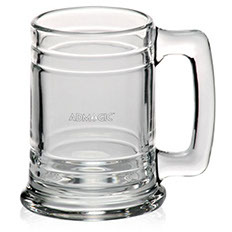 4 3/4" w x 6" h.
Description: Arc Britannia beer mug, 20 oz., with colored lid. 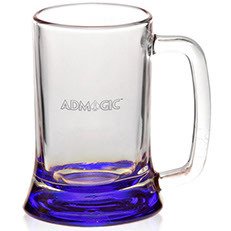 Description: Clear 9.75 oz beer mug with colored bottom. 4.8" H x 3.3" D.
Description: Libbey 23 oz. 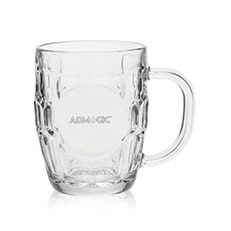 Giant beer mug- clear. Dimensions: 3 5/8" Rim x 9 1/8" H x 3 1/8" Base.